Dark matter is distinguished by emitting no light, but it reveals itself through its gravitational effects, such as its ability to bend the path of light. Dark energy acts as “anti-gravity.” Earth’s gravity, for example, would cause a ball tossed into the air to fall back toward the ground. Dark energy, on the other hand, would cause the ball to pick up speed as it rises, accelerating upwards. Dark energy is thought to be responsible for the recently discovered acceleration of the expansion of the universe, as recognized by the 2011 Nobel Prize in physics, which was awarded to three scientists, including Adam Riess of Johns Hopkins. The Henry A. Rowland Department of Physics and Astronomy in Johns Hopkins’ Krieger School of Arts and Science has been at the forefront in this field, from its participation in the discovery of the Higgs boson candidate, to the Nobel Prize for discovering the accelerated expansion of the universe, to the measurement of the current expansion rate of the universe, and the precision measurements of the contents and history of the universe. In addition to leadership in the WMAP mission, Johns Hopkins participates in the Sloan Digital Sky Survey and Pan-STARRS. The university also is building part of the Subaru Prime Focus Spectrograph and leading the construction of the Cosmology Large Angular Scale Surveyor. 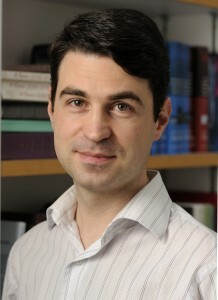 In addition to his faculty position at Johns Hopkins, Ménard is a joint member of the Kavli Institute for Physics and Mathematics at Tokyo University. He earned his doctorate from the Max Planck Institute for Astrophysics in Germany and the Institut d’Astrophysique de Paris. Before joining Johns Hopkins, he was a postdoctoral member of the Institute for Advanced Study in Princeton and a senior research associate at the Canadian Institute for Theoretical Astrophysics in Toronto. Last year, Ménard won a Sloan Research Fellowship from the Alfred P. Sloan Foundation and was named Maryland’s Outstanding Young Scientist of 2012. Bennett is the university’s Alumni Centennial Professor of Physics and Astronomy and Johns Hopkins Gilman Scholar. He was awarded the 2012 Gruber Cosmology Prize, the 2010 Shaw Prize, the 2009 Comstock Prize in Physics, the 2006 Harvey Prize, and the 2006 Henry Draper Medal of the National Academy of Sciences. In 2006, he shared the Peter Gruber Foundation’s Cosmology Prize with Nobel laureate John Mather and the Cosmic Background Explorer team. Bennett was elected to the American Academy of Arts and Sciences in 2004 and the National Academy of Sciences in 2005. 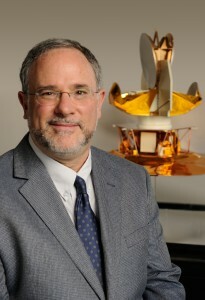 He has received two NASA Exceptional Achievement medals and a NASA Outstanding Leadership medal. Euclid is a European Space Agency mission with science instruments and data analysis provided by the Euclid consortium with important participation from NASA. NASA’s Euclid Project Office is based at NASA’s Jet Propulsion Laboratory in Pasadena, Calif. JPL will contribute the infrared flight detectors for one of Euclid’s two science instruments. NASA Goddard will assist with infrared detector characterization and will perform detailed testing on flight detectors prior to delivery. Three U.S. science teams, led by JPL, Goddard and the Infrared Processing and Analysis Center at Caltech, will contribute to science planning and data analysis. Caltech manages JPL for NASA. More information is online at http://www.nasa.gov/euclid and http://sci.esa.int/science-e/www/area/index.cfm?fareaid=102 . Color photos of professors Bennett and Ménard available, contact Phil Sneiderman.